Is the Power Shrug Right for You? With the bar resting on top of spotting pins set to somewhere between just above the knee and mid-thigh, grip the bar with an overhand grip, slightly outside shoulder width. Stand in a shoulder/hip width stance with barbell somewhere between right up against your thighs. Actively pull the bulk of your upper arm as far back into the shoulder as possible. Keep tension between your shoulder blades. This will ensure the traps are doing the majority of the work. Keep a neutral but rigid posture. Setup Phase 1: This is the initial phase of the setup. This is immediately before you unrack the bar from the safeties. Setup Phase 2: This is the next stage of the setup. It is after you have fully extended you hips and knees to lift the weight off the safeties. You should be fully upright as shown here. The setup is almost done. This is right before you do a slight hip hinge & knee bend, which I'll show/describe in the image below below. Setup Phase 3: This is the final phase of the setup. You get here by slightly hinging at the hips and bending at the knees. This is a very temporary position. You'll start the concentric repetition immediately after achieving this position. Keeping your weight on your heels and arms straight, explosively extend your hips with emphasis on “moving up.” Yes, you are using momentum--that is the point of this exercise--The power shrug is to the barbell shrug as the push press is to the overhead press. Maintain extended elbows throughout the entirety of the lift. Shrug as high as you can. Squeeze as hard as you can at the top of the rep, but don't try to hold it there. 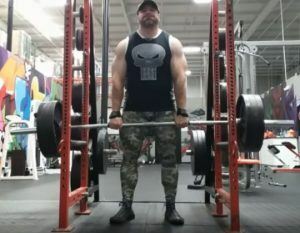 In fact, you shouldn't even be able to hold it there long if you tried since (usually) power shrugs are meant to be done with relatively heavy weights. Allow the bar to fall back to the starting position. Since you’ll be using a fair amount of weight, you won’t be able to actively lower the bar (you wouldn’t want to anyway). However, you should have enough control that you don’t get pulled forward by the bar. Embrace a strong, full stretch of your upper traps against the weight of the bar. IMPORTANT: You should still be upright at this point! Make sure the bar is motionless and starting position is reestablished before beginning the next rep. Note: Remain upright as the bar descends and you let the weight stretch against traps. Note: After fully embracing the trap stretch and the bar has come to a full hault, dip down slightly by hinging at the hips and bending at the knees. This puts you back at the starting position. Repeat the power shrugging motion until your set is complete. The bar should only touch the safeties at two times: 1) at the beginning of your set before lifting it off to get into the starting position; 2) at the end of the set to put the weight down. Try to maintain a neutral spine and shrug straight up and the top of the movement. Keep active tension in the core by trying to hold a posterior pelvic tilt position and keeping the ribcage down. Keep the arms straight and focus on actively flexing the triceps in order to maintain an extended elbow position. Actively keep your shoulder blades retracted and focus on shrugging straight up and down. Start with a lighter weight and perform more reps. Separately incorporate grip exercises that focus on strengthening “pinch” and “crush” grips. 2. Try to “squeeze” the traps maximally once the hips extend. 3. Ensure a neutral lower spine posture by focusing on creating tension in the obliques and lower abs. This makes you go toward a posterior pelvic tilt, which is what you need to resist/cancel-out excessive lordosis (i.e. lower back arching) to achieve a neutral posture. 4. Aggressively push the hips through in order to achieve complete hip extension. The power shrug can be utilized by any level lifter. Power shrugs do require a little more practice in regards to dialing in the timing of the extension/shrug patterning. 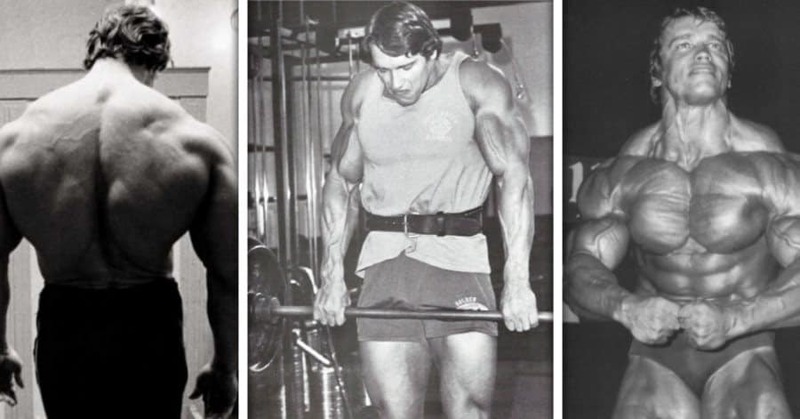 If the movement feels awkward, try starting with regular barbell shrugs. Then progress to barbell shrugs from a hang with some slight hip involvement. 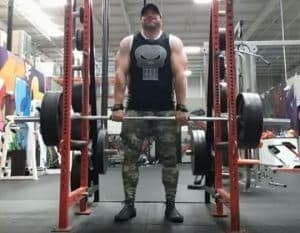 After a few weeks (possibly less), you’ll be well-prepared for power shrugs from a technique standpoint. Start lighter weight than you can handle, and go for a higher rep range. Add more weight each session at your discretion. If you saw earlier in the article, I categorized this as a beginner exercise. 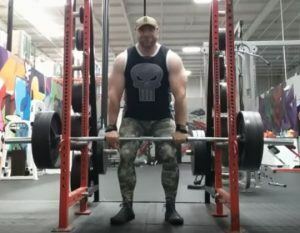 In my opinion, power shrugs are fine for for the novice lifter. However, I wouldn’t recommend it for a brand-spankin’ new lifter. I recommend it more for the mid- to late-stage beginners who have had a chance get some level of basic strength from the big lifts, including some decent core strength/stability. In addition to that, I think it would also be wise for these mid/late beginners to get the hang of the regular barbell shrug first. Only a few weeks should be necessary. The purpose of this is to ensure the beginner has a “feel” of the proper shrugging motion insofar as the shoulder girdle is involved (i.e. proper positioning and movement of the shoulder blades and arm; how the trap muscles feel when the lift is executed properly).